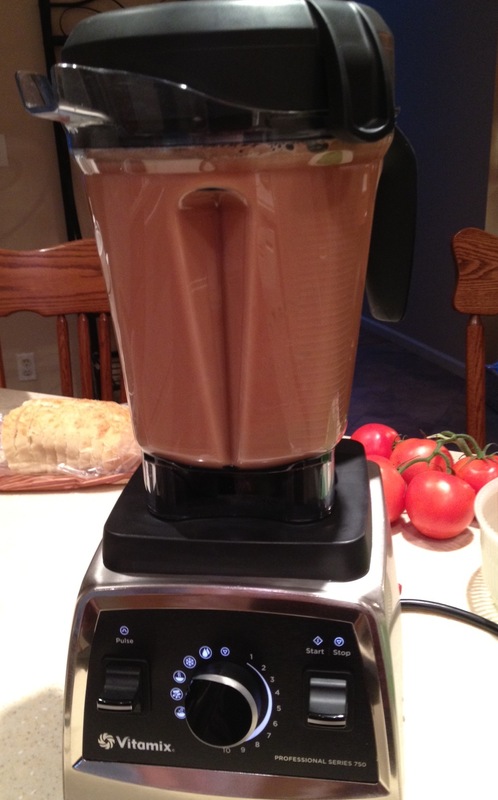 I made my first dinner in the Vitamix last night! Colby and I made grilled cheese in the panini press. 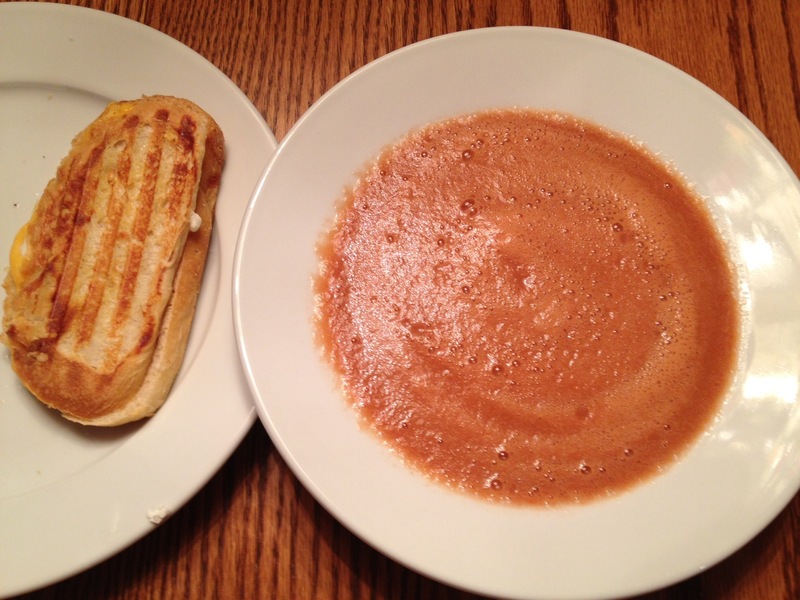 I LOVE tomato soup but never eat it because it always has milk or cream in it… but not mine! 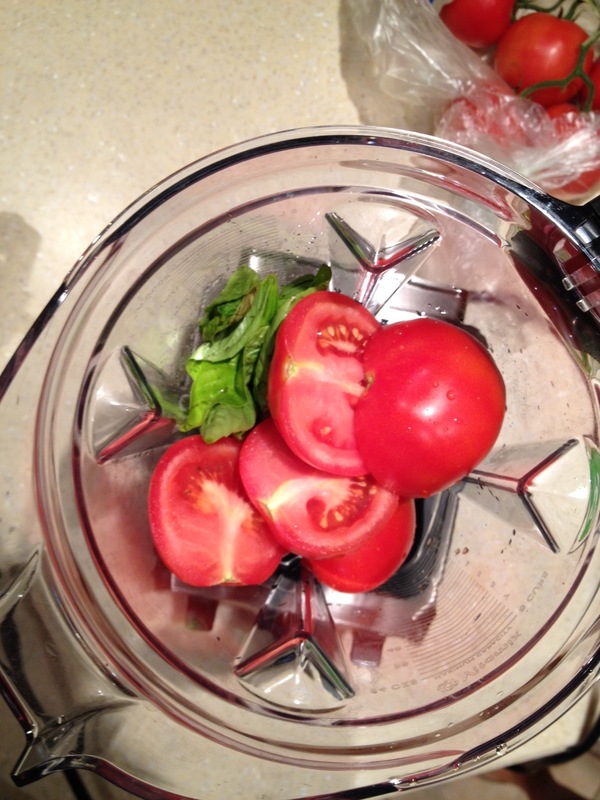 I put in 5 medium tomatoes whole, basil from the backyard, garlic, a little almond milk, salt and pepper. Set the Vita on the soup setting and in 5 minutes it comes out hot. 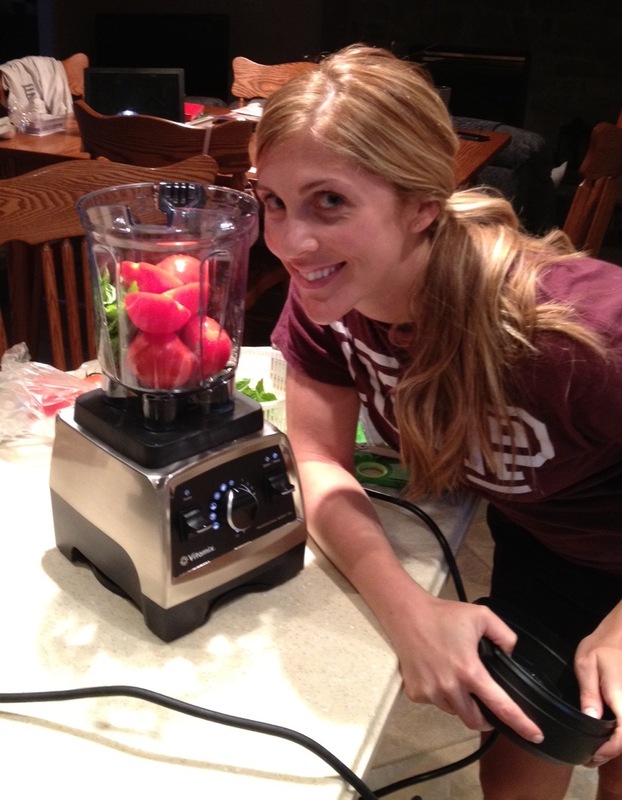 Unhealthy obsession with a blender.